Every single one of us has a unique genetic makeup that comprises who we are as people, and no one else on the planet with have the same combination of atoms as you do. Our uniqueness means that we all have different physical, mental and emotional health and that we express our feelings in different manners. For some children, emotional disabilities might be holding them back from performing at their very best. There is no umbrella that all emotional disabilities fall under, and the range of the disorder is wide and varied. Mental disorders often referred to as mental illness, are defined as a person’s distinct pattern of psychological or behavioral actions that can negatively impact their daily routine. A mental issue can cause stress and disability that is outside the scope of normal development. Essentially, they act in ways that are considered extreme or sometimes inappropriate for their peers or age group. An emotional disability is also defined as mental derangement or functioning abnormally, although that is the most end of the spectrum. There are some factors that play a part in what might cause emotional disability. Some are relatively minor, which is why it’s sometimes difficult to accurately diagnose someone as suffering from an emotional disability of some sort. At times, an emotional disability might also refer to those who are afflicted with depression or anyone who might have a hard time maintaining relationships with those they are in frequent contact with, like teachers or their fellow group of peers. It is thought that emotional disabilities could have some root in childhood trauma or abuse, but that is not always the case; irrational fears and schizophrenia can also lead a child to experience an emotional disability of some type. When discussing mental disorders or illness, it is important to remember that this topic includes a large number of possible causes and can fall under the names of mental illness, emotional disability, emotional disturbance or emotional behavioral disorder. 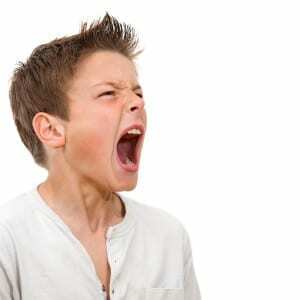 IDEA lists schizophrenia as an emotional disturbance but gives the caveat of not applying this label to children who are unadjusted socially unless they have been properly diagnosed as having an emotional disturbance of some sort. The National Alliance on Mental Illness (NAMI) states: mental illnesses are medical conditions that disrupt a person’s thinking, feeling, mood, ability to relate to others and daily functioning. Just as diabetes is a disorder of the pancreas, mental illnesses are medical conditions that often result in a diminished capacity for coping with the ordinary demands of life. As much research there is regarding emotional disturbances and disabilities, no one is sure what the actual cause is. Some professionals feel it stems from stress or an unstable family environment, or a person might simply be genetically predisposed to emotional disorders of some type. There is no definitive evidence linking any of these possible causes to emotional distress. There are a few certainties, however, when it comes to emotional disabilities. They can affect any person at any time regardless of their race, income or religion. They are not a sign of a weak character or a less-than-desirable upbringing, and many people who experience mental issues can find some relief through participation in a treatment plan based around their unique situation and factors. The more you know about the world of special education, the better equipped you will be in ensuring the success of your child. 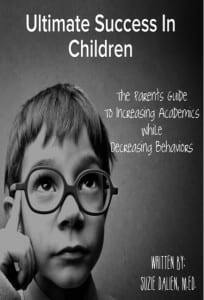 Alternatively, there are solutions available outside the classroom to assist your child academically along with behaviors often associated with the frustration caused by being overwhelmed. Supplemental learning through special education tutoring has exploded over the past few years. Designed to assist children with special needs, this revolutionary program takes the curriculum from the traditional classroom and molds it to fit their individual learning needs. 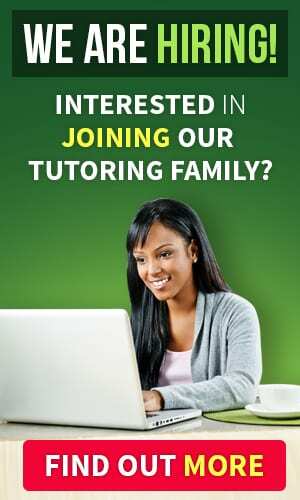 To find out if working with a special education tutor is a viable solution for your child, register for a free consultation. This entry was posted on Saturday, September 13th, 2014 at 11:02 pm and is filed under Special Education Labeling and tagged as Special Education Behaviors, Special Education Labels. You can follow any responses to this entry through the RSS 2.0 feed. There is no umbrella that all emotional disabilities fall under, and the range of the disorder is wide and varied. Mental disorders, often referred to as mental illness, are defined as a person’s distinct pattern of psychological or behavioral actions that can negatively impact their daily routine. 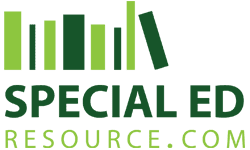 If faced with the need to understand the complex world of special education, knowing the different types of emotional disabilities and their symptoms is a good start. If it’s determined that your child does have an emotional disability, there are resources and assistance available to help. Supplemental learning through special education tutoring is designed to assist children who require and deserve a little extra one-on-one help to achieve their academic excellence. By educating yourself and gathering as much information as possible, you will be in a perfect place to advocate the best possible academic life for your child!